Modcon Living is a nonprofit organization dedicated to sustaining homes and neighborhoods by providing reliable, affordable home repair and modification services, while serving vulnerable homeowners. We believe everyone deserves the choice to age in place with independence and dignity. Got a honey-do list, and honey, you don’t? We’re here for you. Mod Squad can fix it, modify it or replace it with a trusted team of home maintenance pros. Our Safe at Home program provides grants for home modifications and emergency repairs for eligible low-income senior and/or disabled homeowners. We believe that everyone should have the choice to age in place with independence and dignity. Our Tool Library provides community access to tools needed for simple, cost-effective DIY home maintenance projects. Need tools? We have thousands to choose from, and a membership level for every need. Review the early 2018 impact report on the 2018 Impact page. Review the 2017 Annual Report on the 2017 Impact Page. Join us at Philanthropitch on March 4. In May, we will host our annual Modcon Living Building a Healthy Neighborhood event. We welcome you to join us as a Volunteer to serve a few hours per week to help us in the Office, in the Tool Library Warehouse, or on special projects. Your tax deductible donation helps people in our community remain in their homes with independence and dignity. Check out our Wish List for frequently needed items. 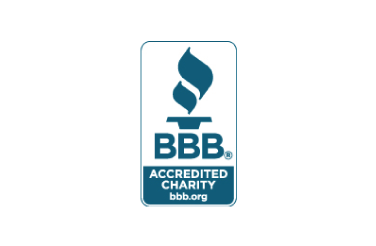 Modcon Living is proud to be an Accredited Member of Ohio Association of Nonprofit Organizations and Accredited by OANO’s Standards for Excellence® program, an Accredited Charity of the Better Business Bureau, and a Certified Aging in Place Specialist.